As the Cops ’n’ Kids of Easton Director, Judith values good reading skills as the critical key to one’s success of gaining a good education K-12 and beyond. 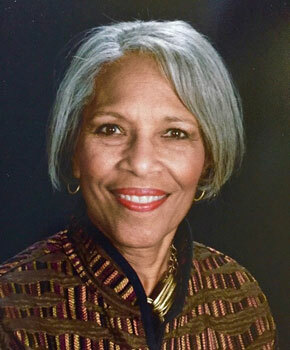 She was fortunate to have a family history and support of three generations of college educated family members to keep her focused and on track. Recognizing that not every child is so fortunate, Cops ‘n’ Kids Children’s Literacy Program, became an instrument chosen in retirement in 2009 to use her time in continuing to give back to the community. By being a link to the next generation of youth helping them to gain the skills for a productive and independent life with the necessary ability to be good readers and to think critically, her passion is promoting literacy by book distribution to all children. Career pursuits included working with and advocating for children and young adults as a speech therapist in the public schools of Detroit and Chicago, along with private practice; corporate and non-profit experience, and college administration. She has devoted over thirty years of her work life supporting targeted groups of young people. Her exposure to the national initiative, Cops’n’ Kids Children’s Literacy Program, founded in 1997 by Racine, Wisconsin police officer, Julia Burney Witherspoon, along with prompting from Easton residents resulted in the opening of the Cops ’n’ Kids of Easton Reading Room in June, 2011, with the support and assistance of the Easton Area Police Athletic League, Easton Area Community Center and the Easton Weed and Seed program and other community volunteers. 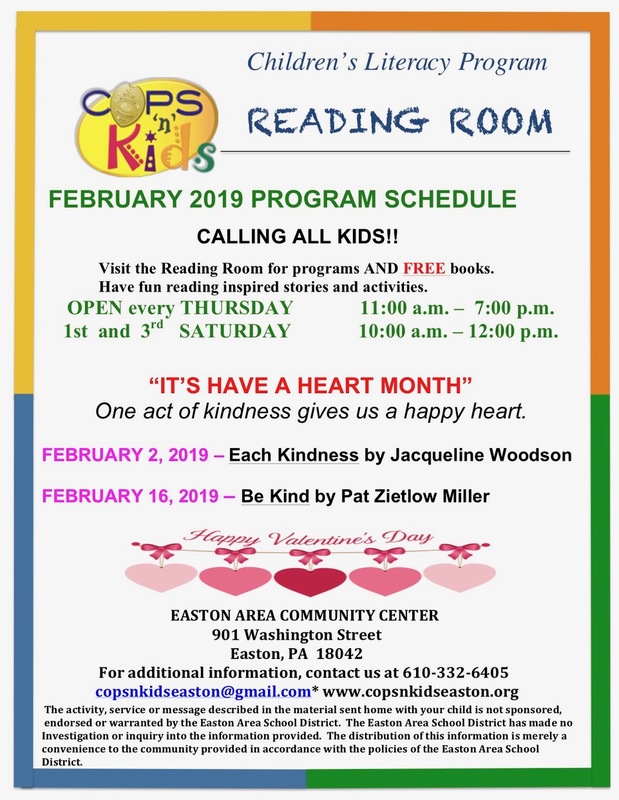 In a time and environment where nothing is free, the community of volunteers, local schools and colleges, organizations, business, churches, police and firefighters have come together to make Cops ’n’ Kids of Easton a reality with events and books distributed – free. Ensuring that every child has access, in his or her home, to books and the knowledge inspiration and hope that such access can provide. Encouraging positive relationships between the children and the police. Inspiring creative learning and awareness for children and families by providing meaningful literacy-based experiences. Having embraced the term “Freadom” in the Reading Room, Cops ’n’ Kids of Easton seeks to give all children the access to books and reading opportunities that will provide them with the ability to be free – free to be, to imagine possibilities, to understand themselves and the world around them and to determine their role in it. Judith’s passion is realized in the opportunity to connect others in the community who share this passion for reading and recognize its importance in our children’s lives and their future.